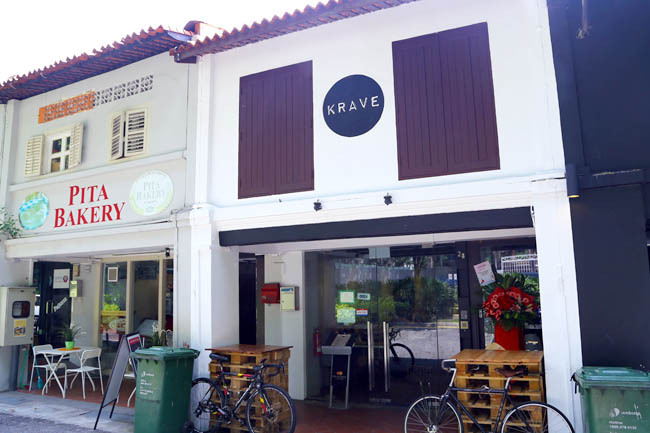 Actually we were wondering if Krave would be just another café along Bali Lane. After all, we have seen an influx of many new openings at the Arab Street quarter. The truth is, even among café hoppers ourselves, many have commented on boredom with the same-old café food. 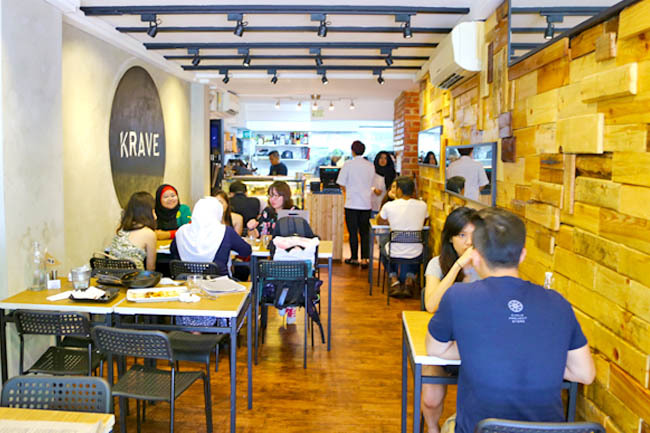 Krave appeared to be like the usual café. That opinion was before trying the food. Boy-oh-boy, we were somewhat impressed. If we are not wrong, the chef in charge of Krave is Chef Sufiyan Safee, with a resume of being Suria’s cookshow host (Is he a celebrity chef then?) and helming Jimmy Monkey’s kitchen. The 2-page menu seemed to offer the typical café items – Truffle Fries ($10), Calamari ($8), Drumlets ($8), Chicken Caesar ($8), Vanilla French Toast ($8), Pizza ($12-$16), Pasta ($8-$16) and Chocolate Lava Cake ($9). We decided to pick items out of the ordinary, therefore the Kraving Ayam Bakar ($15.00). 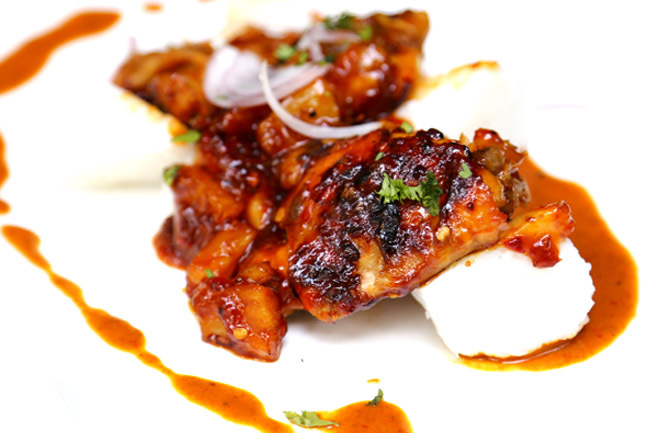 The dish came presented in a Westernised fashion, but with ingredients of the Malay style of ayam bakar and ketupat (which they called rice cakes). Sedap! The chicken drumstick was fork-tender, flavourful, drizzled with an addictive Indonesian style sweet sauce. 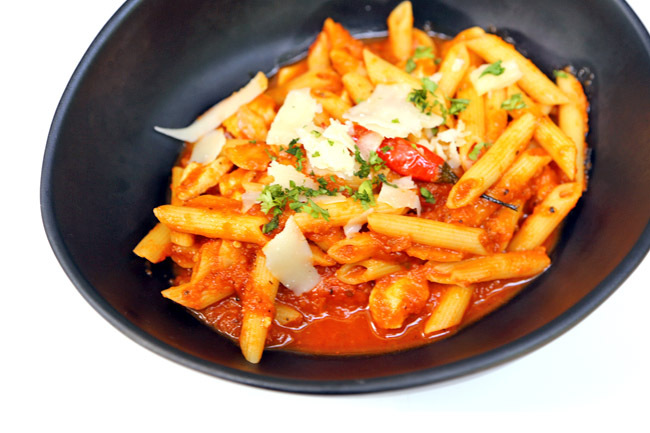 The other East-meets-West dish to try was the Arabiatta Chicken Pasta ($10.00) which our entire table praised for its tomato marina sauce with that chilli padi kick. We swept the plate clean. 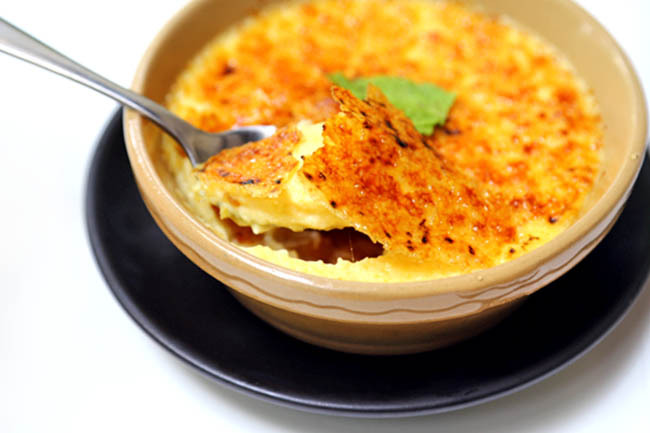 Available in limited quantities, the Crème Brulee ($7.00) came with a surprise twist of chempedak fruit. Brittle caramelized layer, smooth custard base, and chempedak fruit emulsion within. Thumbs up, though guaranteed to bring the ‘heaty’ level up. 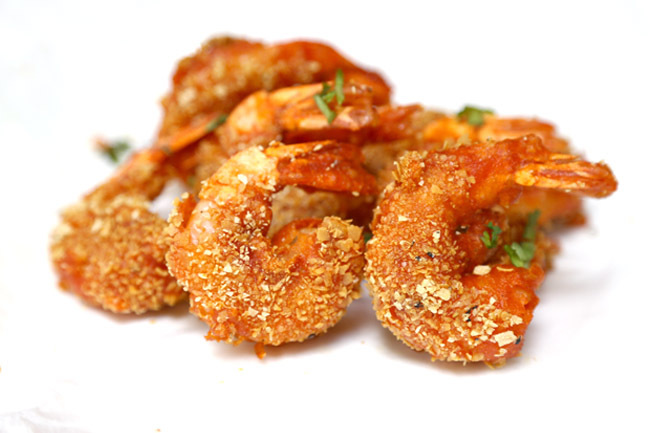 While the décor of Krave was straight forward and simple, it was the homely food which combined Malay-Western influences that makes this café worth a visit if you are at the vicinity.